Even if you’re a tech-savvy adult, the speed and agility with which children learn and become comfortable with new technology can be a little alarming and somewhat aging. So it’s probably not surprising that a new AVG study reveals that by the age of 13, kids have basically reached adulthood when it comes to social media. The survey revealed that by the tender age of 11, more than half of children (53%) have begun to use Facebook, with data coming in from the United States, Canada, the UK, France, Spain, Italy, Germany, Australia, New Zealand and Japan. 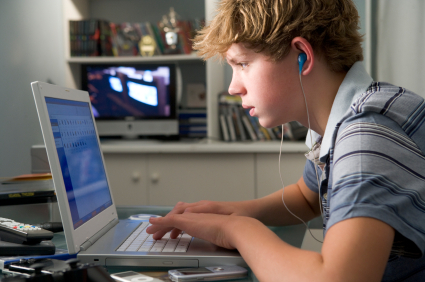 With the exception of New Zealand, the majority of kids whose parents responded to the survey had their own PCs, and especially in the UK, said computers are most often located in the bedroom. In addition to that unsupervised (largely) time on social networks, the study found 44% of kids of parents surveyed had smartphone access to the sites- a number that jumped to 56% in the US. Kids learn faster overall not just in social networking.